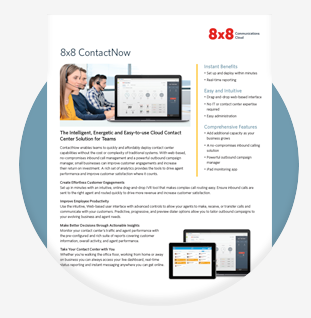 ContactNow Cloud Call Center Solution | 8x8, Inc | 8x8, Inc.
Customize and route calls with an easy to use, web-based, drag &amp; drop IVR system and advanced skills-based routing. 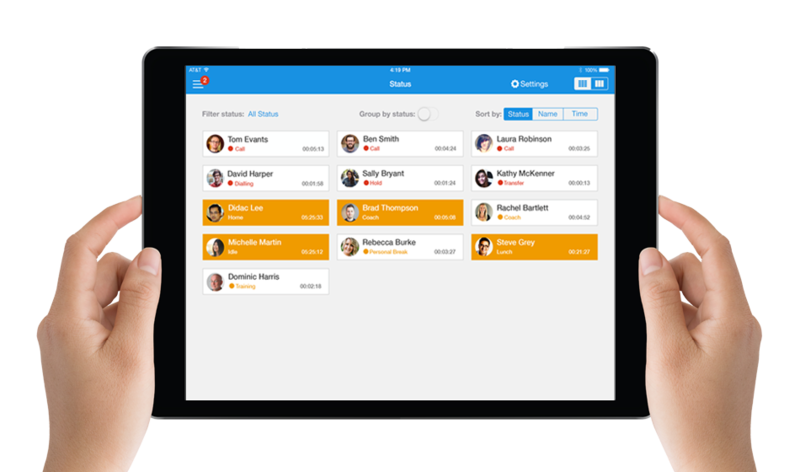 Automatically record incoming and outgoing calls and play back recordings online. Easy self-service configuration and administration allows you to be up and running in minutes. 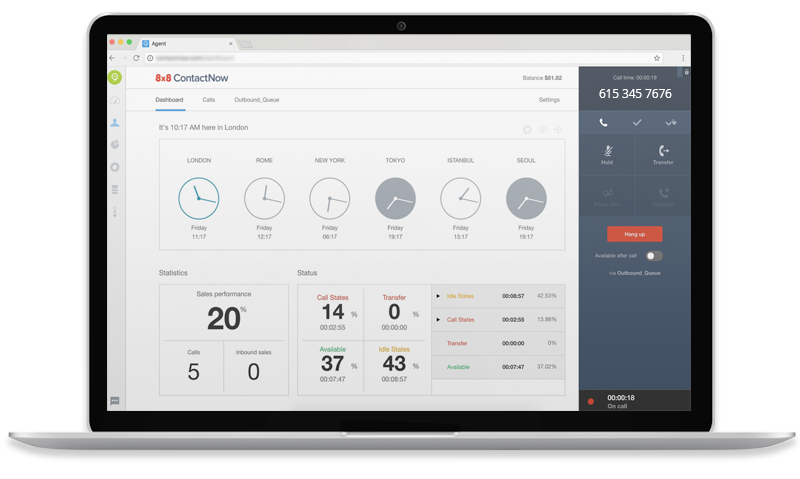 ContactNow is built on a scalable cloud platform so your contact centre can grow as fast as your business. Get up and running in minutes. 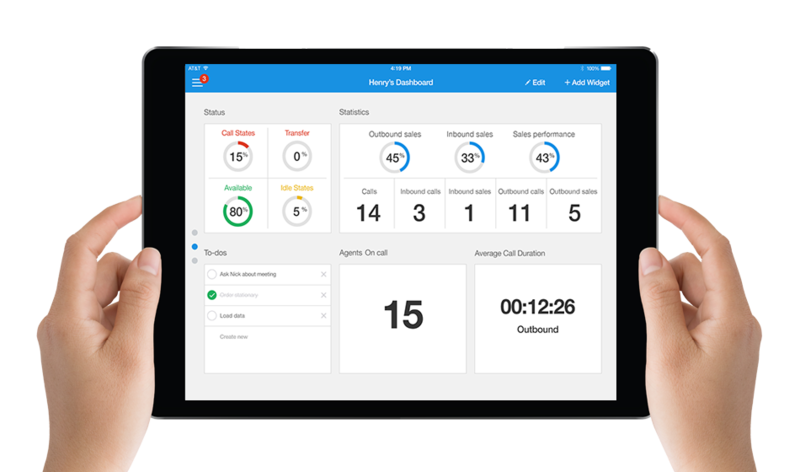 A fully customizable contact centre dashboard to keep track of all the important activities. 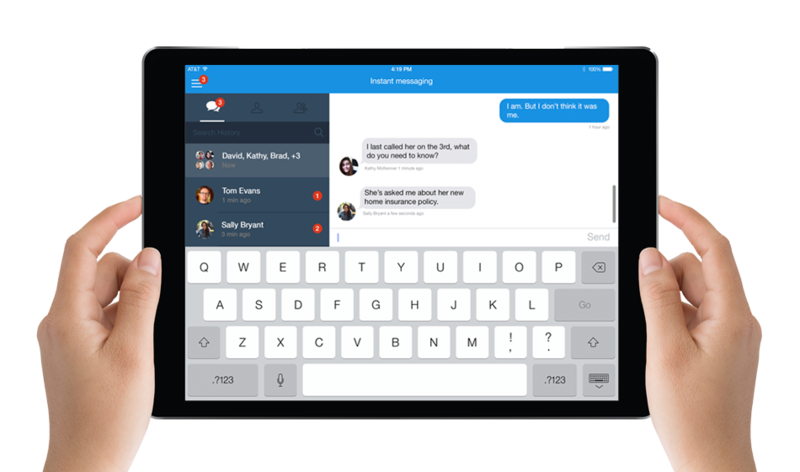 See a live overview of all your contact centre activity. Stay in touch wherever you happen to be.